Rifle is you main weapon. All weapons are region based which means you can't use region 1 weapon on other regions. Rifles will be your main upgrade since other weapons are only optional. Focus on improving your rifle stability since damage are nothing if you can't hit. Upgrades can be in any order because trophy hunt will required a FULL upgrade for weapons that cost COINS. The only weapons upgrades that are optional are sight and infrared. To get more Glu Credits, you can either buy it from the app or download some apps to get free Glu Credits. Deer Hunter can be played offline and since it is offline, you can manipulate your smartphone/tablet's time to remove any time limits in the game. Change your time/date, it is more easier if you change your date by increasing your current date by 1 day instead of changing the time. You will receive a notification from deer hunter such as your energy is replenish or the item is already received. 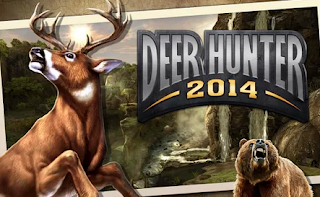 Open deer hunter 2014 to make sure if it is working. Exit and force close Deer Hunter 2014 and recheck your show notification.